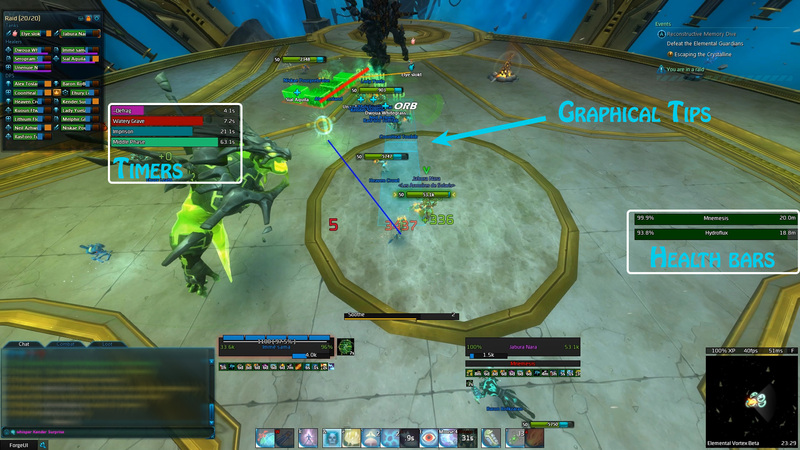 Add the capacity to draw a line from unit positions and/or static positions. First usage is with Core Y-83 Hard More (Incoming). Display the interrupt armor on right side of the health bar, when this last is bigger than 0. [DS] Limbo Infomatrix: Add 2 circles on BEAX unit (telegraph which turn on Keeper of Sands). [DS] Logic Guided Rockslide: Add a permanent circle to anticipate the twirl min range. [DS] Air/Life: Always announce players with the thunder debuff. [DS] Water/Logic: Announce the remaining interrupt armor to do at the beginning of middle phase. Add missing french entry. That fix the red line to the red portal. Adjust the Holo Hands spawn indication position. Allow the Mobius health feedback only in the Labyrinth and yellow phase. And so drop any network messages from a player during the Main phase. Improve the 'PURGE' message in blue phase. Now it's "[numberA]. PURGE [color] ([numberB])", where numberA is a cycle counter, and numberB is the cycle counter of the color itself. "1. PURGE BLUE (1)" -> "2. PURGE BLUE (2)" -> "3. PURGE RED (1)" -> "4. PURGE GREEN(1)" -> "5. PURGE RED (2)"
"1. PURGE RED (1)" -> And so on..
Add the timer of the next PURGE cycle in blue phase. Add the timer of the next PURGE increase in blue phase. Add the timer of the next Support Cannon in phase 4. Add cleave line of "Fragmented Data Chunk", it's the same design as "Holo Hands"
[GA] Many French/German translations weren't done. Add the pourcent health value of units tracked in RaidCore's log. For encounter strategy analyze. Add the CombatLogHeal event of units tracked in RaidCore's log. Will be used later for Gloomclaw rework.